About five weeks left to my school year. I’m behind in grading. I’m behind in lesson planning. This means less time on the Internet for the next week or so. Somehow I managed to collect a bunch of interesting links last week though. Most everything you need to know about CS education and jobs . Includes a lot of statistics and links to information you can use. Education Week: N.Y.C.-IBM Partnership Focuses on Students' Tech. Skills Things keep happening in New York City with regards to computer science education. I have to wonder were it will all lead. The Role of HyperCard in Today's World interesting post on the blog@CACM from Communications of the ACM. Remember HyperCard? It may be coming back! Gwinnett pilot hopes to draw students to computer programming highlighting a new program in Georgia. Is that a mouse on your face? Or your face acting as a mouse? Both? FaceMouse is some new Kinect related software from Channel 9. See also KinectMouse. Why isn’t there a glut of good software engineers? There are good paying jobs out there with good clean change the world work so why are more people not entering computer science fields. This posts asks that question in detail. 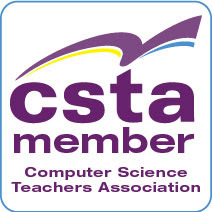 Are you going to the CSTA Annual Conference this summer? Microsoft opens the doors to the NERD Center for CSTA 13 attendees. Don't miss this tour! NERD stands for New England Research and Development. I used to spend a good bit of time there and there is lots of interesting things going on there. And the views of Boston are amazing. Super Computer Science: Why you Need a Popcorn Maker in your classroom Fun idea from Rebecca Dovi . Not sure I can get away with it but it’s a thought. 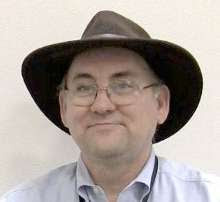 Madlib Madness is about a fun project that Mike Zamansky uses with his programming students.